The participants were hallucinogen-naïve adults reporting regular participation in religious or spiritual activities. Two or three sessions were conducted at 2-month intervals. Thirty volunteers received orally administered psilocybin (30 mg/70 kg) and methylphenidate hydrochloride (40 mg/70 kg) in counterbalanced order. 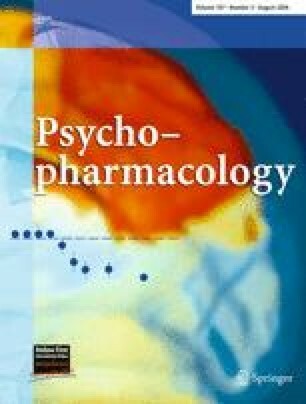 To obscure the study design, six additional volunteers received methylphenidate in the first two sessions and unblinded psilocybin in a third session. The 8-h sessions were conducted individually. Volunteers were encouraged to close their eyes and direct their attention inward. Study monitors rated volunteers’ behavior during sessions. Volunteers completed questionnaires assessing drug effects and mystical experience immediately after and 2 months after sessions. Community observers rated changes in the volunteer’s attitudes and behavior. Supplementary material is available for this article at http://dx.doi.org/10.1007/s00213-006-0457-5 and is accessible for authorized users. This research was supported by grants from NIDA (R01 DA03889) and the Council on Spiritual Practices. We thank Dave Nichols, Ph.D., for synthesizing the psilocybin, Mary Cosimano, M.A., for her role as assistant monitor, Brian Richards, Psy.D. and Kori Kindbom, M.A., for psychiatric screening, Heather Cronin for data management, Paul Nuzzo, M.A., for statistical analysis, Matthew W. Johnson, Ph.D., for discussions about the data, and Dr. George Bigelow, Dr. Eric Strain, Dr. Maxine Stitizer, and Dr. Larry Carter for comments on the manuscript. The study was conducted in compliance with US laws.